This is the power of the buyer persona. Marketing Executives, Middle Management or Owner CEOs; every organisation has a certain level of information about who their target customer is, yet only 44% of B2B marketers use buyer personas. So how well do you really know your audience? Not every buyer persona is created equal. Some only go as far as covering basic topline. information. If your buyer persona is limited to “40-year-old Accountant Amy who earns €60,000 working in Dublin City”, then you may fall into this category. While this is useful information when it comes to targeting Amy with content, it doesn’t give the truly detailed personal insights such as her desires, goals or concerns. So what information do we need to quantify for our mission in establishing an insightful and actionable buyer persona? Demographics aid in developing the basics around your buyers persona, and should be used as a starting point rather than a guiding principle. When large-circulation magazines and network television were marketing to the mass public, demographics helped in creating market segments that could be targeted by Advertisers and Marketing Managers. In today’s multi-platformed world wherein customers are more informed as to their purchasing power, those companies still relying on only demographics to define their markets are missing the majority of the picture they need. By combing the stereotypical demographic factors (Age, income, education, occupation, gender, race and employment status, just to name a few) with psychographic factors, we can begin to paint a more in-depth customer profile as a basis to segment our customer profiles. Below are a number of these psychographic factors to choose from. A determinant of a customer’s wants and needs is the stage at which they are at within their lifecycle. We all have different lifestyle patterns that reflect many factors, including our stage of life. Our wants and needs change based on those patterns. Segmentation by lifestyle considers where the customer or client is in their lifecycle and what is important to them during that stage in their life. When segmenting a target market based on lifestyle psychographic characteristics, marketers promote their products and services as solutions to those wants and needs. While this is more commonly used in the B2C space, it can be applied B2B based on company life cycle characteristics. Customers, as well as brands and products, have personalities. When applicable, companies can utilise the personality traits developed from their respective buyer personas, and mirror the traits most attractive to their target audience within their products or services, increasing the likelihood of customers relating and engaging with them. Establishing what the personality of your buyers is can also aid in refining your brand’s personality. Resulting in an emotionally attached, loyal customer base. This category factors in religious beliefs, political and cultural stances, recreational activities and other related opinions. These factors determine your customer’s buying behaviour and how they interact with your messaging. Companies have been leveraging the psychological component in a person’s need to maintain social class standards since the advent of advertising. Taking a look at Mercedes in the B2C space the auto manufacturer has become synonymous as being the ultimate symbol of luxury and style with the aid of their slogan “All or Nothing”. 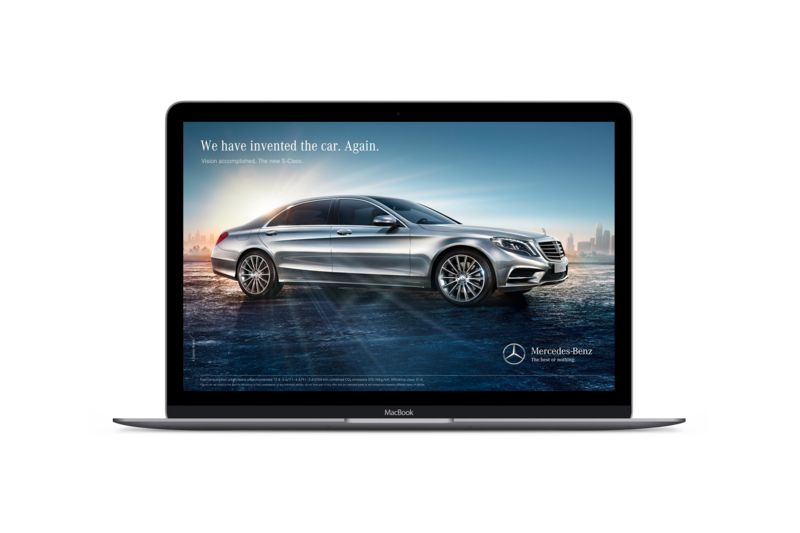 A materialistic stance that Mercedes capitalises on advantageously in their marketing campaigns. The brands your customers currently interact with. Who do they see as a thought leader in your industry? What digital platforms do they use to consume content? What methods of information search would they use to overcome the challenge you solve? What devices do they use? What times we should post our content at as a result? What type of content do these customers respond to? Often we view these goals in terms of metrics or responsibilities that face someone within their role or company. 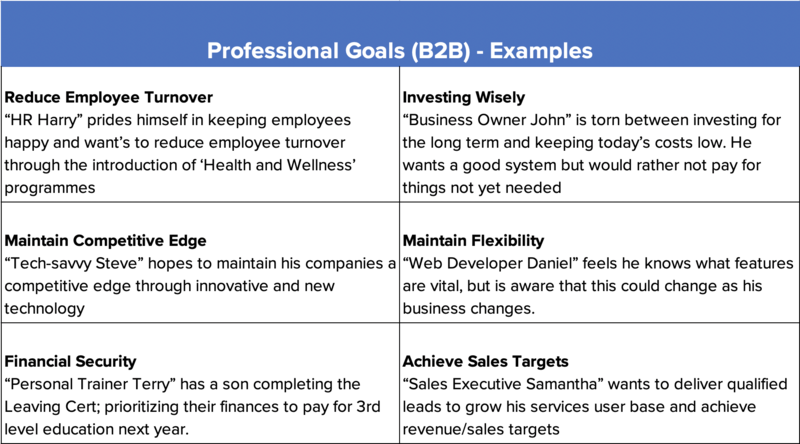 It is important to remember the goals that the buyer has as they are vital in understanding the buyer on a personal level, which is used to define the persona within their job role and their professional goals. Identifying these goals gives insight into what a product or service can do to aid a persona in achieving their goals and overcoming their challenges. By gaining a deeper understanding of the intent behind tasks and activities, and how those intentions are related to specific goals, businesses can generate improved content design, online engagement, more effective targeting and sales conversions. The medium in which information is delivered can have a significant impact on your buyer’s purchasing journey as this information is what they use to identify a path to achieve their goal. What is the direction the company or person is or trying to head towards? What does a successful outcome for this person look or feel like? Who does this person admire? Check out some buyer persona goal examples below. Your business emerged from the desire to solve a problem for your target audience. So when creating your ideal buyer persona, the most important consideration is identifying the problem the buyer faces that your product or service solves. By understanding their problem or challenge, you can determine how your product or service can best help them, where they may be typically seeking information on how to solve that problem. As we mentioned in one of our previous articles, highlighting the benefits of your product or service in quantifiable terms is an effective method in driving sales as it shows the customer how your product meets their needs. Let’s look at an example of challenges our “Personal Trainer Terry” persona might face. Imagine that your product is a mobile app which lets individuals with many clients manage their information, timetables and communication e.t.c. As a long time “Personal Trainer with a long client list Terry may find himself struggling to prioritise his time to maximise how many clients he sees per day, increasing his daily earnings. Try to establish some quotes to refer to these challenges. For example, “I’m struggling to effectively communicate with my clients” or “I’m wasting several hours a day on figuring out when to schedule each client into my timetable. From Terry’s problems, your product can be pitched as a time management system which allows direct communication with your clients by automatically filling in Terry’s weekly timetable. By listening to previous customers describe their buying journey you may gain valuable insights into the inner workings of your organisation, highlighting any issues or challenges they may have faced when purchasing from the business. By gaining familiarity with the steps a buyer takes, we can anticipate the inevitable obstacles and prepare the required tools and messaging to guide the decision-maker to their destination. Just over half (52%) of consumers say they’re likely to switch brands if a company doesn’t make an effort to personalise its communications. Now that you have your buyer persona in place, you can empathise with customers using specific messaging through content as they go through the buying process. Many marketers, especially those whose products have a high-consideration factor, find it difficult to create engaging messages, with the benefits of more complex products or services often too difficult to convey to the buyer without a large list of benefits and values of the product. Similarly, your messaging also needs to be understood by everyone, so if you are one of the marketers who has fallen into the bad habit of using buzz-words such “market-leading” or “easy-to-use”, we understand! When you have insight into your buyer’s requirements, the correct messaging to engage and persuade those individuals is more prevalent and the specific attributes of the product or service can be highlighted to the buyer at various stages of the buying process. If you have identified what their challenges are, you can speak to them and highlight your product as the solution to their issue. If you have identified their interests, you can mention these in your content. Distil down your messaging and form your elevator pitch. It should be no longer than 20-30 seconds. Otherwise, you risk losing the person’s interest or monopolising the conversation. Your elevator pitch will also benefit your company internally, as it allows teams to “sing from the same hymn sheet”. If you are unsure how the elevator pitch should be structured begin with the below three points. The value you offer the customer: At this stage, you should have quantifiable data which highlights why your offering is of value to your buyer. Including the value on offer in your Elevator pitch gives credibility to your claim in a short amount of words. Tell the customer what you seek in return: Regardless of what you are asking for; product purchase, investment, website view – be specific and transparent in what you’re asking for from your buyer. Price is a huge factor here as not disclosing information customers seek will destroy the opportunity for loyalty. Think about it – if you are in the early stages of the buying process and you visit a product website, unable to locate a price, chances are you would not look deeper and feel the company is hiding that information from you. Be upfront and honest about what you are asking of customers – they will appreciate you for it all the more. Listening to what your potential customers are saying on social media is a key component of audience research, allowing you to track, analyse, and respond to conversations about your brand and industry online. Twitter is exceptional for customer service related queries and as such can be utilised to develop an understanding of customer needs, and resultantly how your product/solution can respond to those needs. Social media is not only about tracking performance metrics, but also about gaining real insights into what your customers and potential customers want from you and how you can better address those needs. So ensure you’re utilising the social media platforms your potential customers are on. It is often tempting to leave well-performing components of our marketing strategies be. However the competitive landscape is forever changing, so your buyer persona, and therefore your content strategy will change as customers needs and tastes do. Dive into your previous marketing efforts to obtain insight into what did or did not work, and if the same can be said now with relevance to your current and future buyers. By engaging in interviews with current customers, you can obtain insights through in-depth stories regarding the buying journey from product awareness to post-purchase, and hopefully re-purchase, often a lengthy process. From this, you ascertain the positives and negatives the customer faced as they completed their journey. As we mentioned in one of our previous blog posts, one tool that’s great for making your targeting more effective is Facebook Audience Insights, a tool by Facebook to help marketers learn more about their target audience. 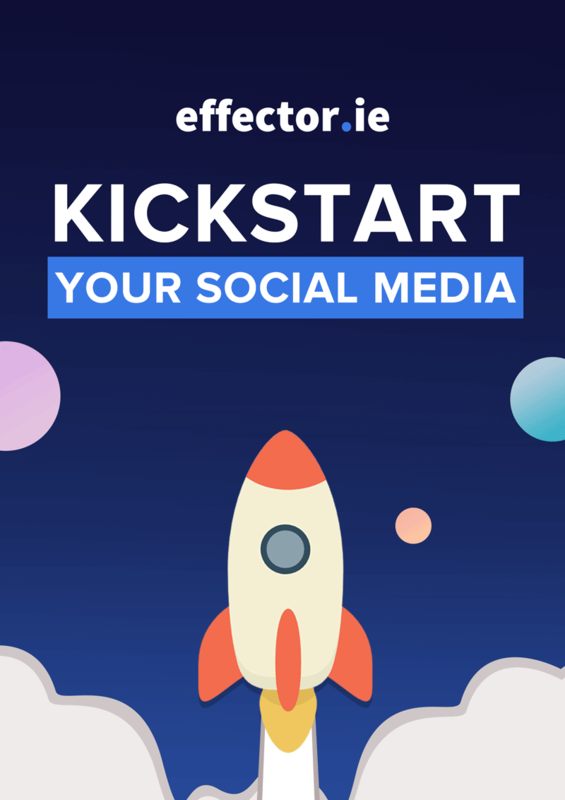 Utilising this search tool will aid in determining the estimated size of a particular audience, generate insights from those already connected to your page or use their “Custom Audience” feature to upload your email list and generate insights you can use to target ads at the same group. By conducting keyword research based on the path your persona takes through the buying process, you can simplify the content marketing plan as you can clearly see the path your ideal customer takes to purchase and the way you can use content to optimise their experience and guide them through their journey. Don’t be afraid to experiment! A/B split testing allows you to gradually find the most optimal design, messaging or structure for your particular persona. In 2006, New York Times bestselling author Timothy Ferriss utilised AdWords (Now Google Ads)while the platform was still in its infancy to test several titles for an upcoming book and compared what encouraged most users to click. To his surprise, the book titles his potential book buyers positively responded to were not those he preferred himself. Over 14 years later, testing such as this can now be done on social platforms such as Facebook, creating interests based audiences and splitting your ads to identify what audiences respond to.